Here at Webrevolve we’ve been celebrating National Coding Week and what better way to mark such an event than by welcoming a new addition to our development team? National Coding Week is a volunteer-led organisation founded in 2014 and aims to help build people’s confidence and skills by encouraging volunteers to run fun and engaging digital events. 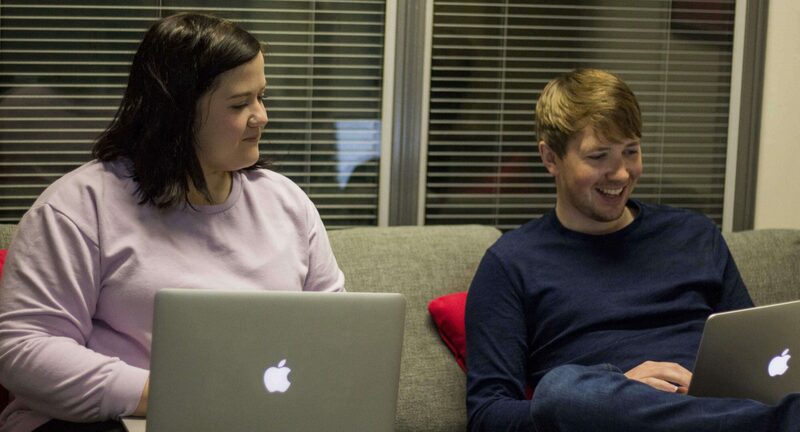 This is something very important to us as we have been keen to promote young, local, talent when it comes to our coders thanks to the strong relationship we have built with Liverpool John Moore’s University dating back to 2011. 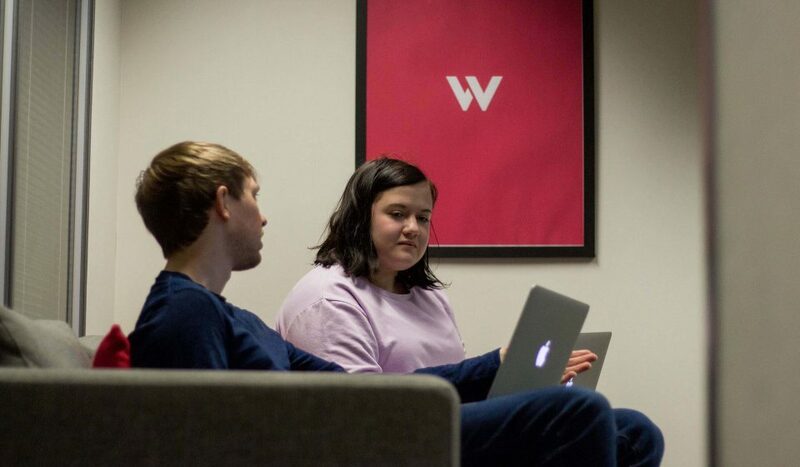 As well as providing vital hands-on industry experience to aid their studies, Webrevolve also give students the opportunity to get their vital first step into the world of web development; something which new recruit Rachel is keen to embrace. Q. What are you studying at LJMU? Q. What aspects of the degree appealed to you the most? A. I’ve always enjoyed creating and learning new things so the chance to learn how to use different technologies and software to create content and media for the web is what appealed to me the most. Q. Why did you choose a sandwich year degree? A. I knew that my degree alone wouldn’t give me all the skills I needed to be valuable to a potential employer. This year allows be to gain valuable real life experience and tackle real life problems . Q. How are you coping with the change from student to full time employment? A. Apart from the early morning start the transition hasn’t been to painful as I have lots of support and haven’t been put in the deep end. Q. What are your goals for the next 12 months on your placement? A. I want to able to be confident in my skills as a web developer and to be able to use technologies that are industry standard. Q. After getting a feel for what we do, can you see yourself working in web development when you graduate? A. Definitely , I really enjoy how dynamic the industry is and how there is always new skills to learn so you are always improving. A. I hope to see myself as a confident web developer. A. I want to able to create good looking functional websites to give people a good user experience. Q. What do you like to do outside work? A. I really love to bake and go to the cinema. Q. And your favourite film? A. It’s a split between The Dark Knight and Aliens. If you’re interested in any of the courses offered by Liverpool John Moores University; including those which offer placement programmes, or wish to receive a prospectus, why not visit their website?